Infoblox is working to identify and reduce the use of conflict minerals in its supply chain through compliance with the Securities and Exchange Commission’s Conflict Minerals Rule and Dodd-Frank Wall Street Reform and Consumer Protection Act of 2012. 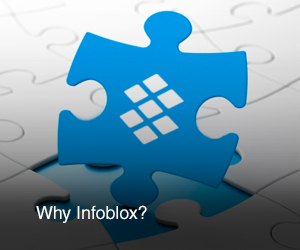 Infoblox requires its suppliers to comply with all applicable provisions of the Conflict Minerals Rule. Infoblox is currently inquiring into its suppliers’ practices and is seeking to implement a due diligence process, in order to make required disclosures in 2014. At Infoblox, we also have the goal of eliminating human trafficking and slavery from our supply chain. We are currently obtaining verification from our material direct suppliers involved in the manufacture our products and reviewing processes to promote social responsibility by our suppliers. Verification: Infoblox does not have a formal program for proactive verification that its suppliers are not engaging in human trafficking or slavery, but has commenced efforts to increase the awareness and sensitivity to these issues within Infoblox. In the event Infoblox is made aware that a supplier may be engaging in prohibited conduct, Infoblox will undertake such investigation and take such action as it deems reasonable and proper under the circumstances. Auditing: Infoblox does not have a formal program to proactively conduct audits of its suppliers with respect to human trafficking or slavery. Infoblox requires that its suppliers comply with all applicable laws, including those relating to labor, working conditions and human trafficking. In the event Infoblox is made aware that a supplier may be engaging in illegal conduct, it will undertake such investigation and take such action as it deems reasonable and proper under the circumstances. Certification. As noted above, Infoblox generally requires that its suppliers comply with all applicable laws. In addition, Infoblox is currently working with its suppliers to obtain certification that materials provided to Infoblox comply with the laws regarding slavery and human trafficking of the country or countries in which the supplier is conducting business. Accountability. In the event an employee or supplier engages in or fails to address circumstances that indicate a supplier is engaging in prohibited conduct, the consequences for non-compliance will depend on the nature, circumstances and context of the violation. Consequences for suppliers engaged in prohibited conduct can include terminating or not renewing an existing contract with the supplier; non-renewal of an existing contract with the supplier or more stringent verification or audit obligations. Training. Infoblox is providing education regarding human trafficking and slavery laws to its employees who have direct responsibility for supply chain management to assist in selecting and monitoring suppliers. The disclosures contained on this statement are made as of February 1, 2014. Except as required by applicable law, Infoblox does not undertake to update this disclosure.